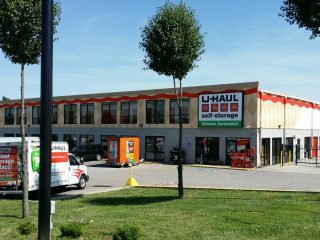 U-Haul Company of St. Louis is offering 30 days of free self-storage and U-Box container usage to residents who have been or will be impacted by heavy rains and flooding along rivers in Greater St. Louis. Steady rains over the last several days have flooded streets and caused many homes to incur water damage. With U-Box containers, you can conveniently pick up our custom-designed trailer and take your U-Box with you. 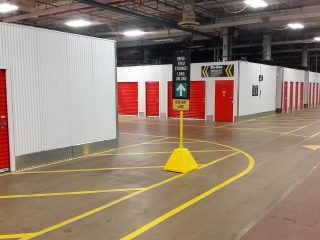 U-Haul also can store your U-Box container in our secure warehouses or pick up and deliver it to a location of your choice. Watch the new U-Box TV commercial here. U-Haul stores offer needed supplies to help with storm recovery like boxes, tarps, propane and propane tanks. Customers are urged to make sure their tanks are topped off since propane is good to have in the event of long-term power outages.